Some people say, “If only I could see a miracle, then I’d believe.” However, in the case of blind Bartimaeus, it was his faith in Christ that led to his miracle of seeing. Some think seeing is believing. Others discover that believing means seeing. Skeptics reject the Bible because of its miracle claims. Yet these folks often say that they only would believe if they witnessed a miracle. It doesn’t work that way, not even in the Bible. After Jesus raised Lazarus from the dead, some there went away plotting Jesus’ death. See for yourself in John 11:45-48. It’s true. God sometimes displays his glory to those without faith—Saul along the road to Damascus (Acts 22). Most often, however, he acts in response to those with faith, even imperfect faith (Mark 9:24). Draw near to Jesus in faith. It may just surprise you what you’ll come away seeing. 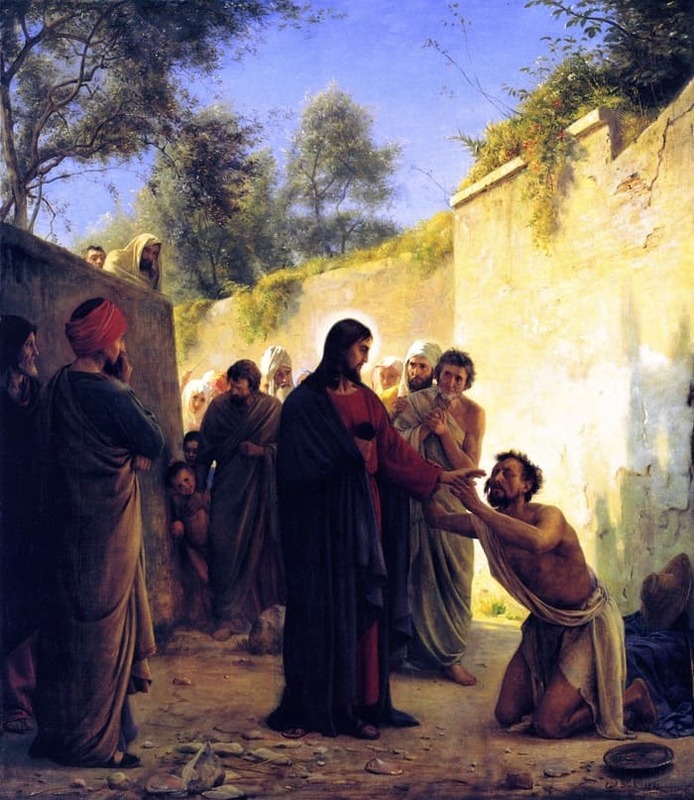 Painting: “Healing of the Blind Man” (1871), Carl Bloch.